It was a fun and accurate way to quilt this well-seasoned UFO. I gave the quilt to one of my favorite medical professionals and she absolutely loved it! I was away on quilt retreat at Sturbridge Quilting and Sewing Center last weekend and it. Was. FABULOUS!!! I had fun with my friends, stitched like the wind, and never wanted to come home! My theme for this weekend was "Baby Quilts." I brought along many baby quilt kits, but was only able to complete three of them during my weekend. I plan to keep this quilt in the family since it is named after my father Jack. I have at least 10 more baby quilt kits, so I think I need to schedule a month of quilt retreat to get them all finished. Who wants to quilt along with me? Last week, I had the pleasure of attending a local guild presentation and workshop with Victoria Findlay Wolfe! Believe it or not, this was the least bizarre facial expression out of the 15 selfies I took. My Cutie Pattern Scarves to Share pattern makes two scarves from a Cutie Pack. I've kept about ten of these scarves. Have you made any? Did you manage to give any away? "T'was the month before Quilt Market and all through the studio, not a quilt photo is showing...."
I'm sewing my fingers to the bones and fabric is flying, but I can't show you what I'm making. Trust me, this hurts me far worse than it hurts you. My house and studio are usually destroyed by the time I leave for Quilt Market, so I'm trying to keep up with the quilting debris as I finish the unshowable quilts. Oh, the temptation is killing me! 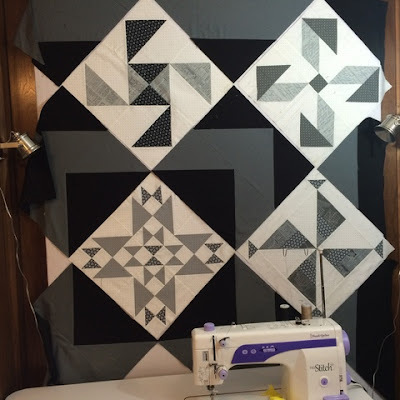 Designs by Sarah J is hosting a Quilt Along and it. Is. ADORABLE! If I have to choose between starting this project and finishing up a bunch of UFOs to improve my sewing room greatly, won't these fabrics look great for this quilt? My children are the most supportive and helpful young adults imaginable. 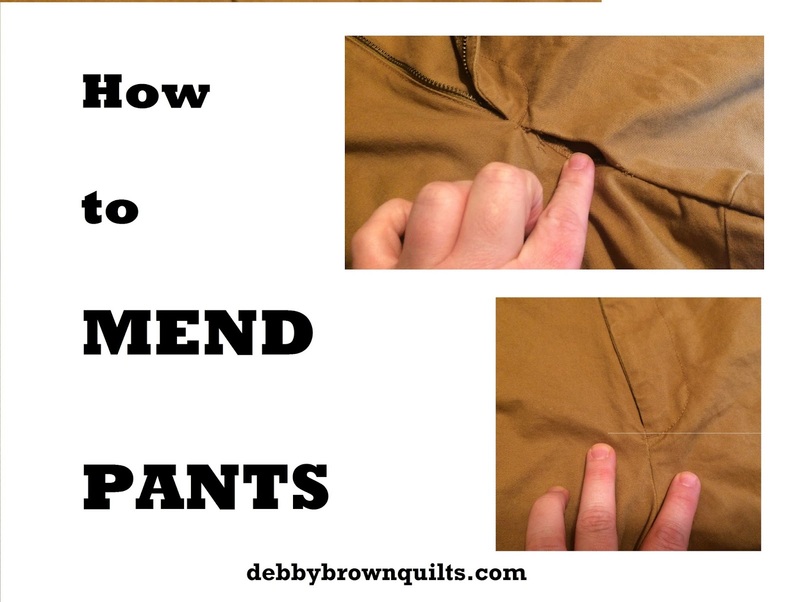 Somehow they knew that I wanted to write tutorials about how to use a sewing machine to make simple clothing repairs and they brought me torn garments just so I would have something to show you! Aren't they the greatest? If I understand the problem correctly, this nearly new pair of work pants lost the seam under the zipper. The pants could be returned, but it's so much less work to have Mom mend them. Even though you are grown and no longer live with me, I still have a thing or two to teach you -- like how to mend pants. I know that you have a sewing machine because I gave it to you. 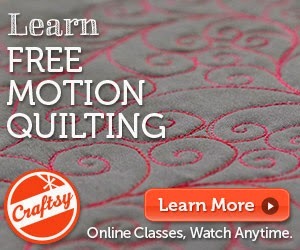 Watch and learn how to use the sewing machine that is sitting and doing nothing at your house. As much as it hurts to admit this, one of my favorite Cutie Quilts patterns is one that I didn't design. I love everything about Picnic Patch. I had a bolt of coarsely woven caramel colored fabric for the block and border and dug through my low-volume scraps for the sashings. I gave this quilt to my friend for her birthday. I sent her photos while I was piecing and quilting it, asking if she thought a bride would like a quilt like this. "Who cares about a bride? 'I' want this quilt!" Hint taken. I filmed videos about how to quilt this block HERE. I'm currently in Manchester, NH working at the MQX quilt show. I'm getting some quilting done in my hotel room. Aren't those Allison Glass Sunprint fabrics beautiful? I can't show you the whole quilt, but I kind of have a crush on it. Yes, I'm a bit of a tease. Have you made any progress on your sewing this week? I recently pulled out a stack of Scrappy Mountain Majesty blocks from Bonnie Hunter's pattern. 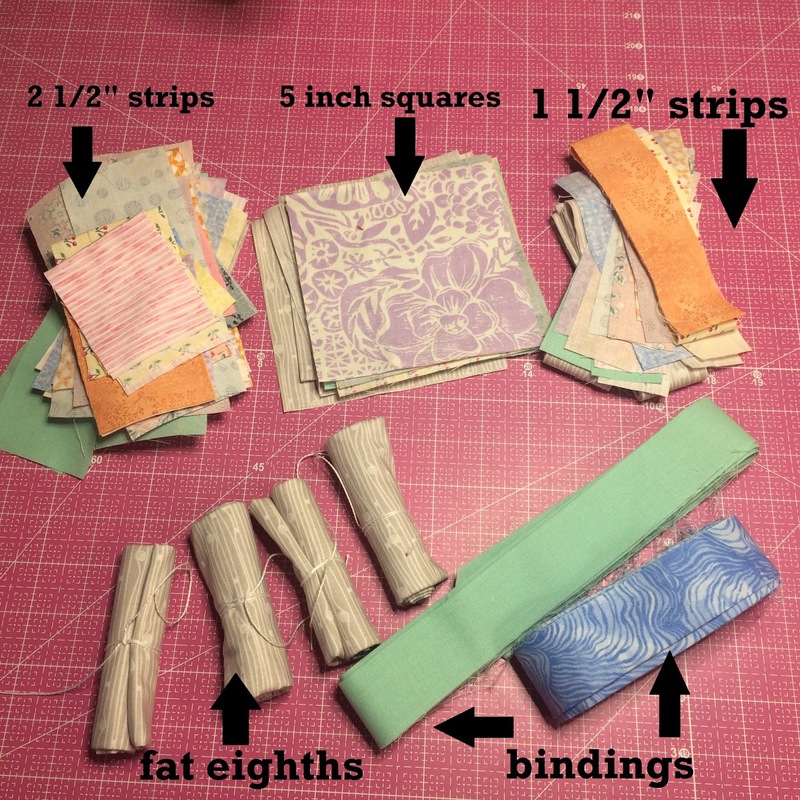 I pieced them together and found a backing in my stash, which always makes me scream "Score!" Sadly, the need for a comfort quilt came more quickly than I expected when a friend was in a head-on collision. Praise God, everyone involved was able to walk away from the accident. I delivered the quilt and very soon read a Facebook post containing these words: "Upon closer inspection of said quilt, I realized that the quilt was full of Steelers colors!!! Sneaky, sneaky friend." *Yes, sometimes I have long conversations with myself. This quilt is made using five-inch squares. I have pounds and pounds of ten-inch squares! As you can see, I was auditioning light blue background fabric and black/white prints for this quilt. This is the "Year of the Baby" (at least among the people we know) and I'm short on baby boy quilts. Check out the Sugar and Spice pattern in the Summer 2017 issue of Quilter's World Magazine. It's designed by On William's Street. I guess I'm going to be mending in the near future. 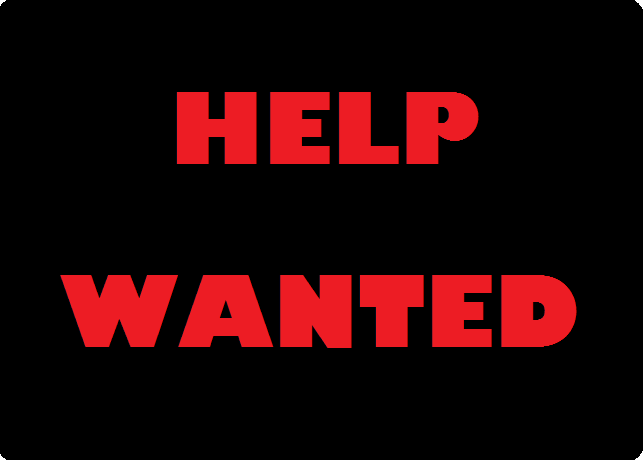 I'm thinking about filming a few videos for the young'uns on how to mend. Do you see all of those little triangle trimmings? Please stop me before I decide to stitch them and use them in a new crazily miniature quilt. PLEASE! I don't often get to hang out with my local guild members because of my travels and I forget how much fun they are. At lunch time, we played a round of "Left Right Center:"
An observant reader might notice that Hello Kitty fat quarter. If you guess that one is from me, you'd be correct. The winner of this game would take home between 30-40 fat quarters and while we were playing I kept chanting "Please don't let me win! Please don't let me win!" I didn't, but two happy quilters went home with bags full of new fabrics. I can't wait until I get to hang out with these fun quilters again! I was at QuiltWeek in Lancaster Pennsylvania last week. I promises myself not to buy quilty things that will make my sewing room more crowded and I'm happy to report that I kept that promise. I did shop, though, but it was a planned purchase. I have a New Cutting Board! Doesn't this pink board just scream "I belong in Debby's sewing room"? I think so. Admit it -- the pink is much better, right? It also will make smoother cuts since these two green boards were old and worn out. I'm only home two days this week before I leave for another quilt show, but I'm going to enjoy this pink addition to my cutting room every second of each of those two days! Please join the team and help Debby Brown Quilts become more successful!